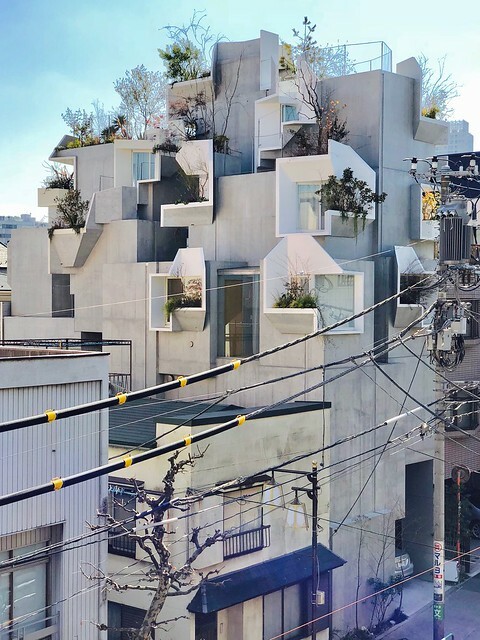 A maze-like tower of voids and projections looms above the streets of Tokyo, offering residents cascading outdoor spaces all along the building’s roof and facade. 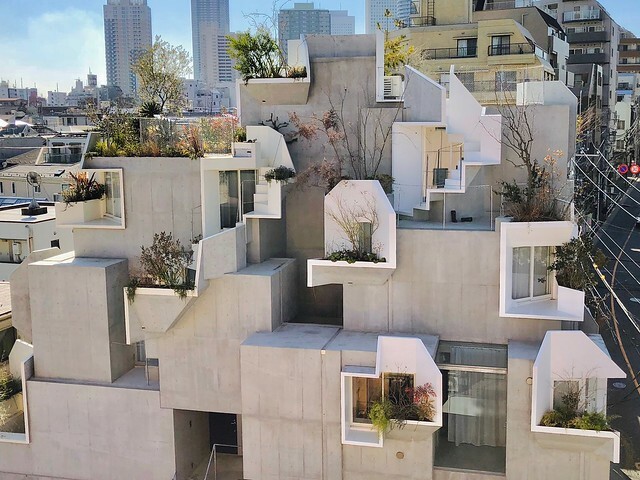 ‘Tree-ness House’ by Japanese architect Akihisa Hirata takes inspiration from nature for this unusual design of stacked concrete boxes full of inward-facing private rooms as well as outward-facing terraces. 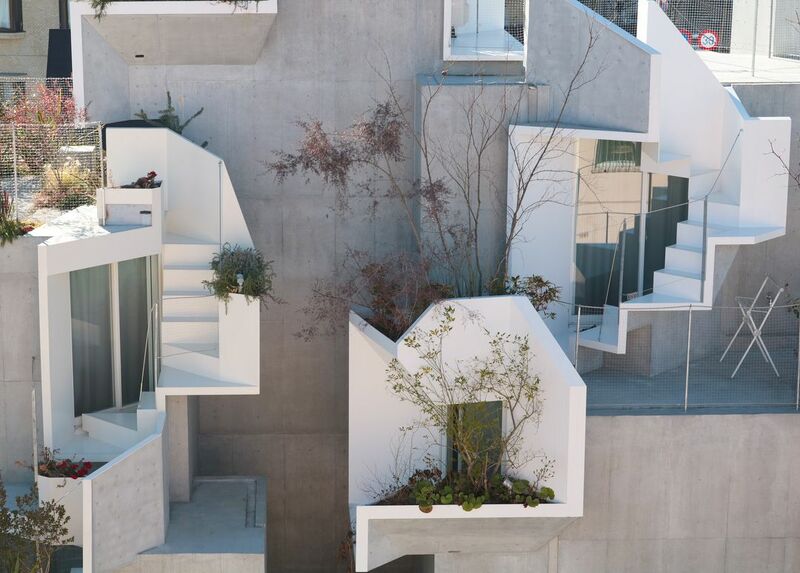 It almost seems like you could get lost inside exploring all of its nooks and crannies. 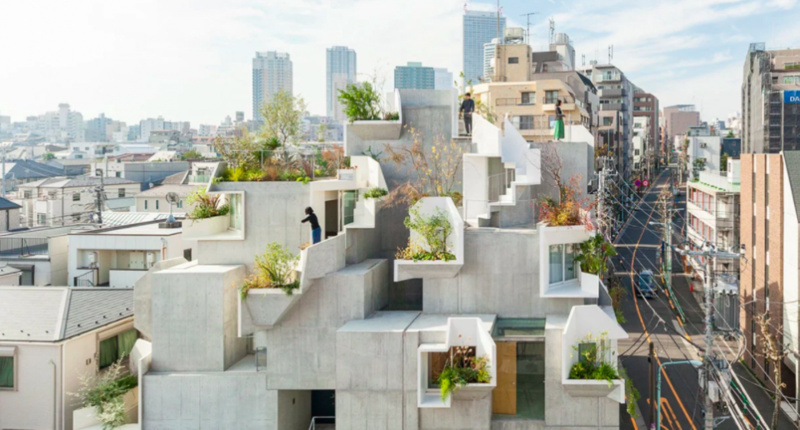 Announced in 2010 and completed this year, ‘Tree-ness House’ aims to create a more dynamic experience for its residents with ambiguous interior and exterior spaces. 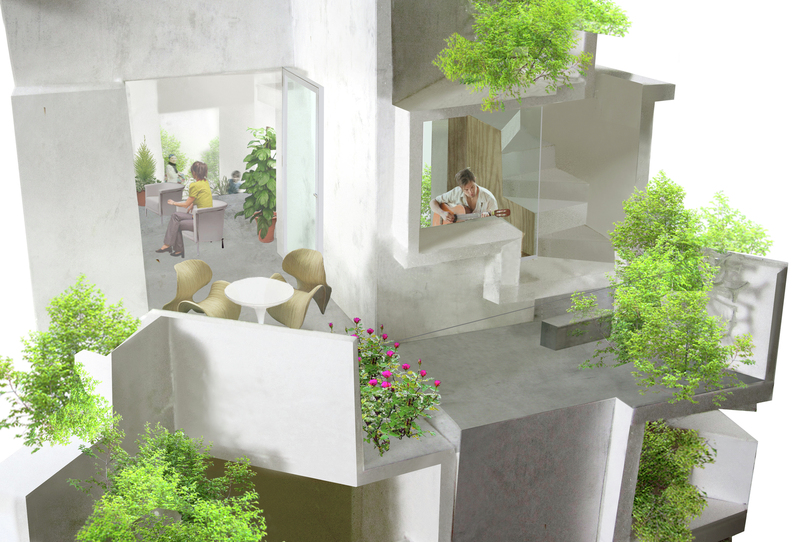 Instead of stacking the floors on top of each other, individual private spaces are offset at various heights with ‘pleated’ openings making room for small gardens. * Tree-ness House / ???? * ?????? * RC?????????????•??? ??????????????????? ??????????????? * RC????????????? ?????????????? ??????????????? ?????????? * #treenesshouse #???? #akihisahirata #???? #???? #?? #architecture #architecturephotography #architecturelovers #architizer #???????????? #????????????????? #????????????? #tlp_memory #lovers_nippon #ig_japan #instagramjapan #photo_jpn #japan_daytime_view #japan_of_insta #japan_photo #phos_japan #photo_shorttrip #art_of_japan_ #igersjp #??????? tree-ness house?????? ??????????????????????????????????????????? ????????????????????????????? 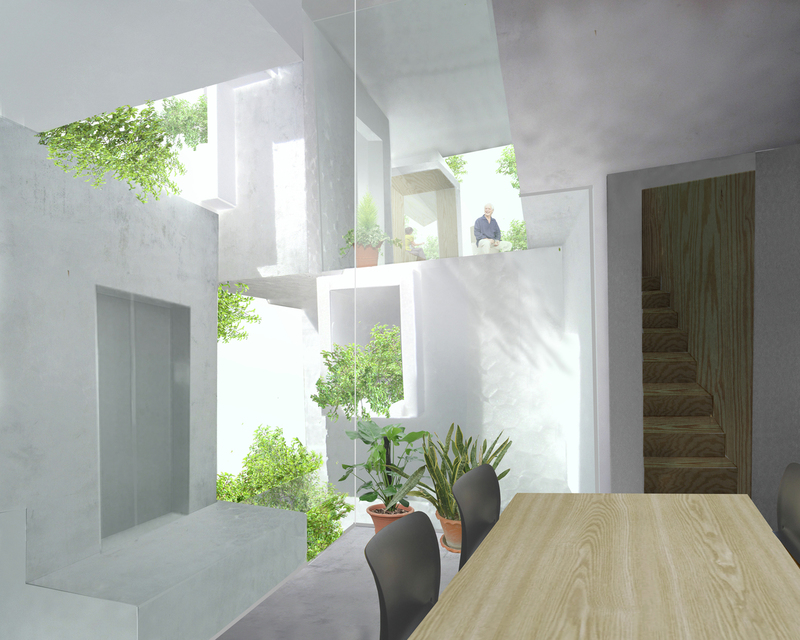 2/2 #treenesshouse#gallery#akihisahirata#????#??#????#????#????#??#???#???#??#????? The interior spaces are just as ambiguous, with staggered voids and glass walls offering glimpses of the terraces and the sky beyond them. For a better look at Tree-Ness house, inside and out, check out the website of photographer Vincent Hecht.